Ranunculaceae | Eranthis hyemalis (L.) Salisb. I mentioned spring was on its way a few days ago, and here's some evidence in a photograph from yesterday. 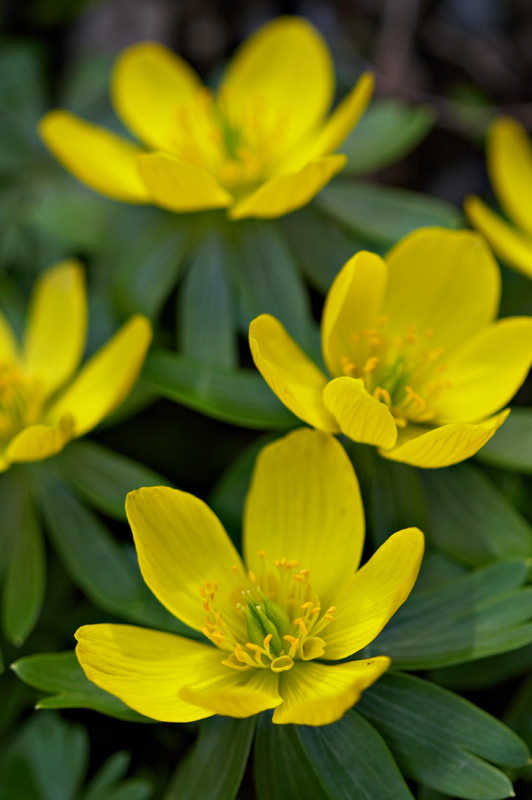 True, the common name for this plant is winter aconite and some sites deem it a late winter bloomer. However, the inevitable parade of early-blooming flowers marches on, steadfastly ignoring the sidewalk bystanders attempting to pin down the name of the season. Today's photograph is dedicated to Kevin Kubeck (another one of UBC Botanical Garden's horticulturists), who participated in a name-game with me last Friday as we tried to remember the genus name of this plant (the label was absent). We fired back a whole series of “E” names before giving up, until Kevin later sent me an email with only two words: Eranthis hyemalis. Native to southern Europe, Eranthis hyemalis has become naturalized in eastern North America and northern Europe, presumbably after being introduced as an early-season garden plant. Like some other members of the buttercup family (e.g., Aconitum), it is poisonous. For a botanical illustration of the species, visit the Flora von Deutschland Österreich und der Schweiz. they are just so mesmerising andpls can i get peply for my appreciation? I have hopefully planted some of these little bulbs, but a book by Judy Glattstein says don't expect more than a 20% success rate as they don't store well. We shall see. What a cheerful little plant for a gray day! Thanks for brightening up a rainy day (but very welcome moisture!) in the San Diego area. Wow, is this a touch of Spring! What a lovely site from someone who is sitting with four feet of snow outside the door. I love these. They take a while to establish, but once established, they bring joy year after year. I eagerly watch for the seeds to mature, collect them, and immediately scatter them in new places around my yard. The following year, only seed leaves appear; the next, only the little collarette; the subsequent year, the blossom. They like a spring sprinkle of bonemeal and lime. 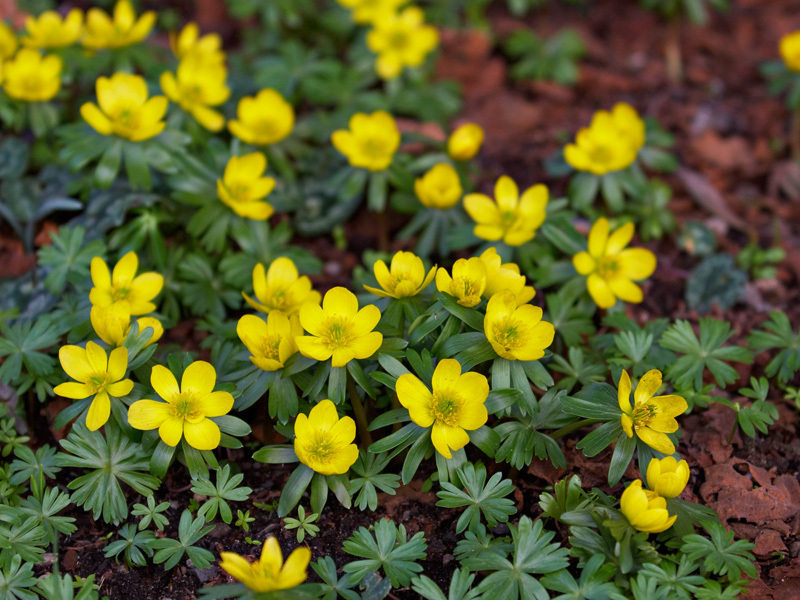 Winter aconite or winter amnesia?